Dr. Doward is a graduate of Lafayette College. He completed his postgraduate education at Columbia University. Dr. Doward attended medical school at Cornell University Medical College and completed his residency at Stanford University. He is fellowship trained in Interventional Spine and Sports Medicine at the Hospital for Special Surgery in New York City. He is a member of the Society for Tennis Medicine and Science, as well as the International Spinal Injection Society. 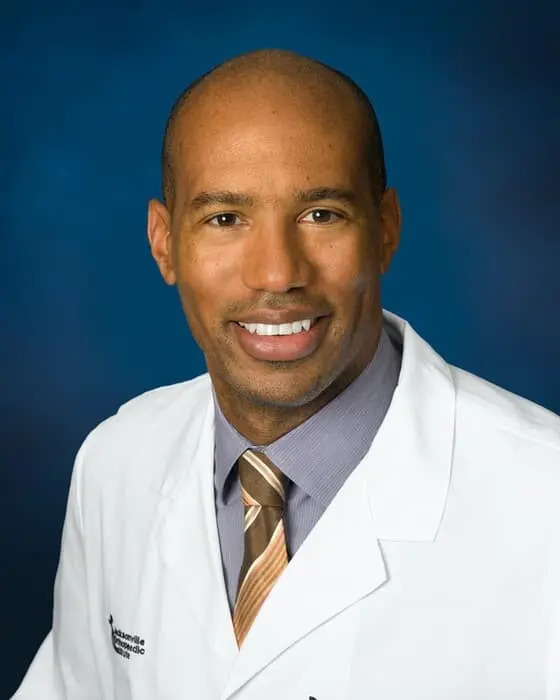 Dr. Doward served as team physician for the NFL Jacksonville Jaguars for more than 3 years. He practices at San Marco.